Founder and CEO of Greene and Associates, Inc. Her client list reads like a Who’s Who of successful businesses locally, regionally, and nationally. She assists top executives, nonprofit organizations, and businesses of all sizes with succession planning, career development, transition strategies, mentoring, and executive coaching. She also designs and facilitates team building and planning retreats. Barbara started as a sole practitioner and has grown Greene and Associates, Inc. globally to a partnership with Career Partners International, thanks to a 99% referral rate from client companies that include Fortune 50 companies. She is recognized as an expert in her field, using innovative approaches to customizing services to client needs, often creating partnerships to provide an in-depth array of services to her clients. Barbara has written many articles for the San Antonio Business Journal and shares her expertise with young adults by providing college student internships and hosting international students. In her first year of business, IBM selected Barbara to be part of a team to implement a career resilience program serving over 8,000 employees in Austin, Texas, focusing on the distinction between lifetime employment and lifetime employability. 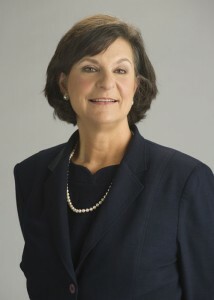 Barbara’s firm was selected over international firms to provide executive coaching, corporate mentoring, and career transitioning to a 500-member, multicultural workforce of line workers to executives and Ph.D. employees of the Philips Semiconductor San Antonio plant that closed in 2003. Considered a leadership legacy, the team’s efforts resulted in a final production run ahead of schedule, with $20M in revenue over budget, 100% signed severance agreements, zero sabotage, zero lawsuits, 90% customer satisfaction, and the desired microchip yield rate. Barbara and her team produced similar results for a workforce of 600 employees of NXP Semiconductors in Fishkill, New York, in 2009. Barbara is best described as passionate—about her clients, about the community, about helping people, and about her family. She has been involved with the North San Antonio Chamber of Commerce, including serving on the committee that launched the CFO Forum that has received high recognition. Greene and Associates, Inc. holds a membership with Greater San Antonio Chamber Commerce and North San Antonio Chamber of Commerce. She is a Leadership San Antonio graduate. As president of the San Antonio chapter of the National Association of Women Business Owners (NAWBO), Barbara accepted the National NAWBO Diversity Award in 2007 and served as chair for the program, An Income of Her Own, an entrepreneurial program for teens, with thousands participating. Other volunteer leadership roles in which Barbara has served include the American Society for Training and Development-San Antonio Chapter Board of Directors as President, San Antonio Lighthouse for the Blind Advisory Council, Leukemia and Lymphoma Man and Woman of the Year 2012 Executive Committee Campaign, Healthcare Hero Award judge for several years, co-chair of Texas Diversity Council Women’s Leadership Symposium in 2011 and 2012 (with the most money raised in the seven-year history of the program in 2011) and served as the 2014 Symposium Moderator, and Texas Diversity Council CEO Award 2012. Currently, she serves on the Board of Classics Elite Soccer Academy and the THRU Project. Barbara hosted the annual Career Partners International Meeting in San Antonio in 2013 with over 14 countries represented. She was selected as an inaugural Mentor for ACCION Texas 2014 and the Master Leadership Program sponsored through United Way for 2014-2015. Barbara serves as an Executive Coach and facilitator for the CEO Succession Planning Matters Program. She was invited to serve on the Good to Great to Global Committee focused on the $31 billion-dollar healthcare and bioscience industry in the 7th largest city in the US. In 2017, Barbara was approved as a member of BioMed SA. She co-launched the Emerging Leaders Leadership Series with Prospanica in 2016–2017. Barbara is serving as the City Year Chair of the POWL 2017. Among her many honors, Barbara has been recognized with NAWBO’s Entrepreneurial Spirit Award as Mentor of the Year, the San Antonio Business Journal’s Mentoring Leadership Enterprise Award, and the DiversityFIRST Leadership Award from the Texas Diversity Council. Barbara is co-author of the book, “Texas Job Hunter’s Guide,” and is a frequent speaker, including for the US/China Symposium and for corporations. She earned a master’s degree and bachelor’s degree and received the highest level of certification by the International Coach Federation, a Master Certified Coach (MCC).